Showcases enables teachers to present a holistic view of students’ achievements. It can also be used as a collaboration space that students and teachers can add work-in-progress to in order to receive feedback and comments from others. 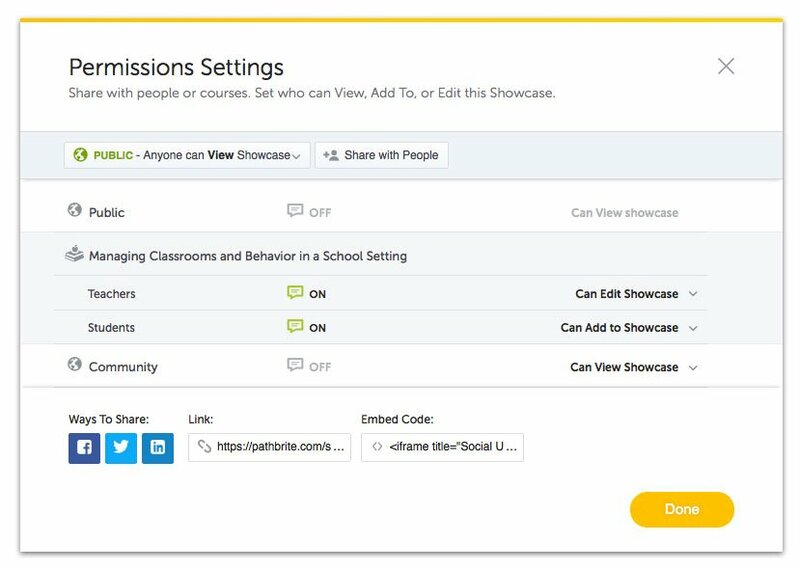 From there, you can populate the Showcase by adding Student Work, or by uploading from your computer, Pathbrite Library, or from third-party sources. 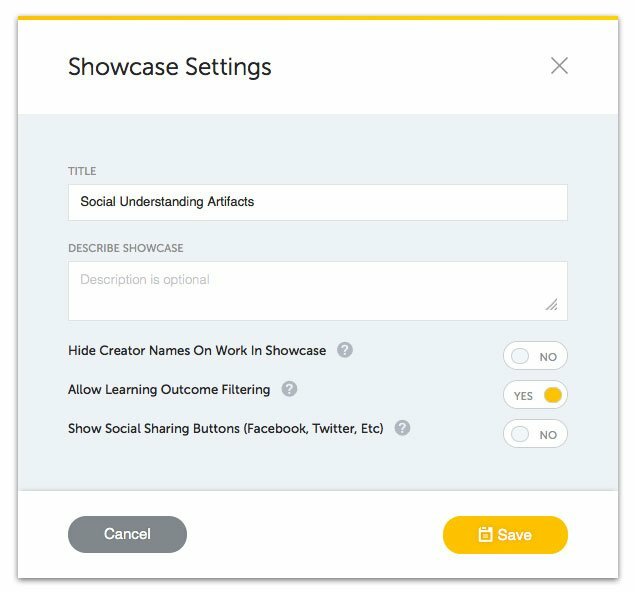 Click Settings to add a description, show or hide create names for items, enable Learning Outcome filtering, and choose whether or not to show Social Sharing Buttons. Click Permissions to set viewing options, to enable comments and/or edits, and access sharing links. 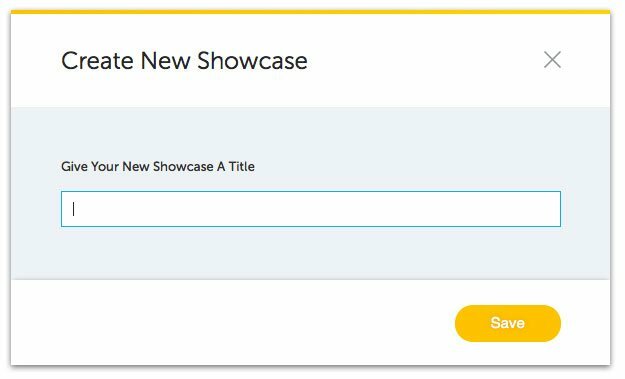 Filter Showcase enables you to view showcase contents by latest, most viewed, or most shared. 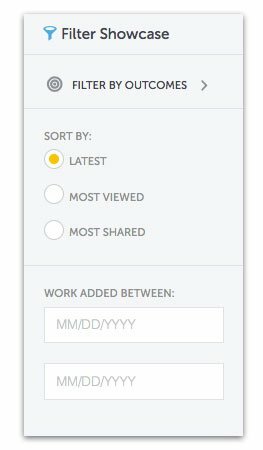 You can also view work added between particular dates. 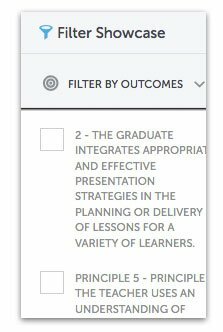 Filter by Outcome allows you to view work that meets particular Learning Outcomes.